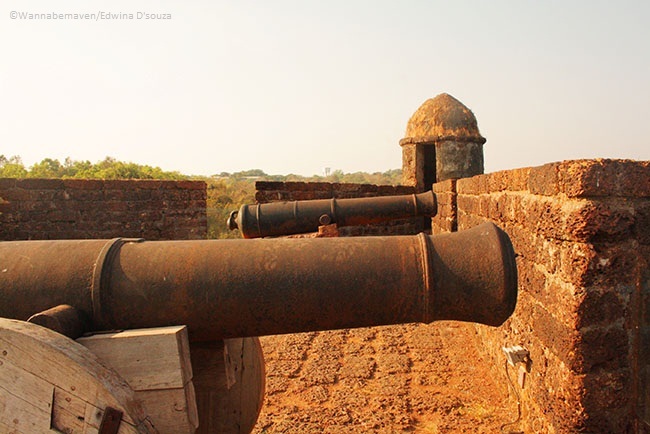 Restored in June 2012, the Reis Magos fort was originally built in 1497 by Adil Shah of Bijapur as an armed outpost. 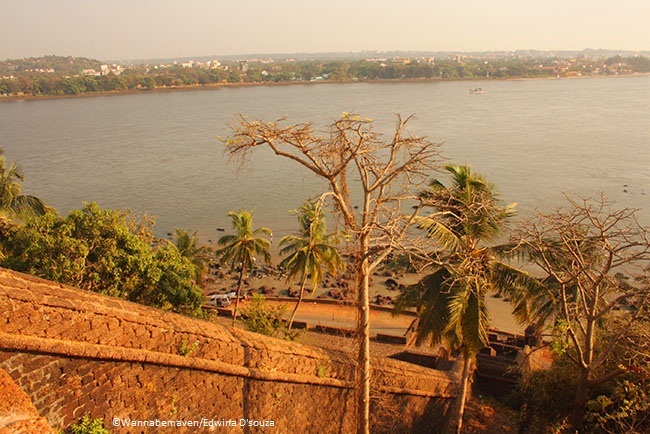 It was captured by the Portuguese and rebuilt on a larger scale in 1543. 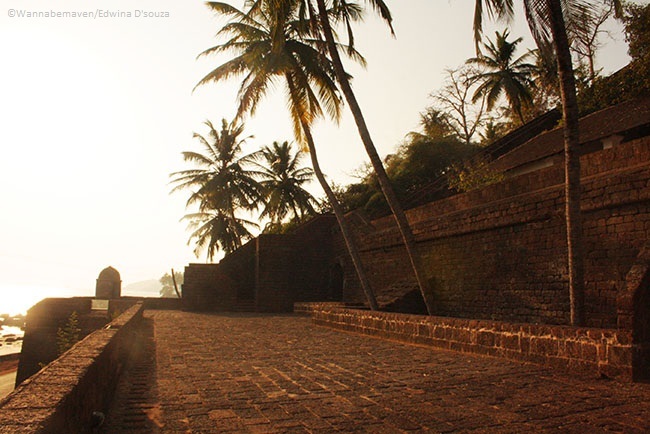 In 1739, the Maratha’s conquered Bardez province which housed the fort. 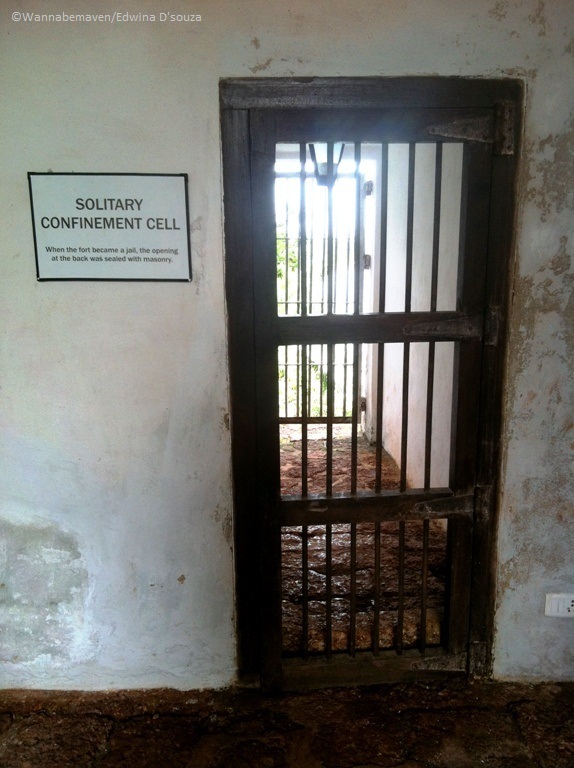 By the 1900’s the fort was no more used as a defensive structure but a prison. 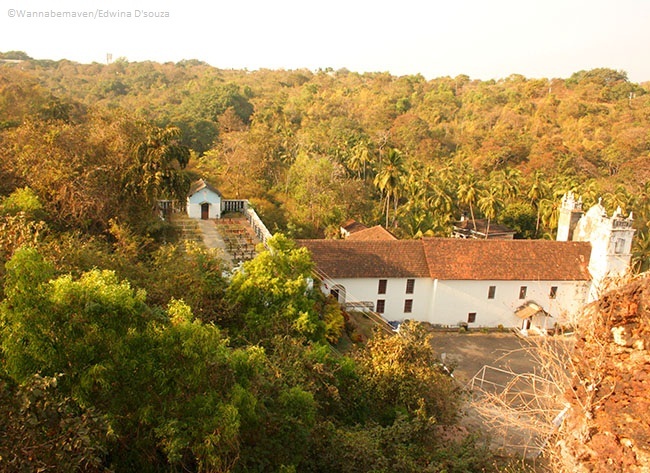 It was completely abandoned by 1993 until 2008 when the Government of India, INTACH and UK based Helen Hamlyn trust together pumped money for the restoration process, initiated by late cartoonist Mario Miranda and architect Gerard Da Cunha. 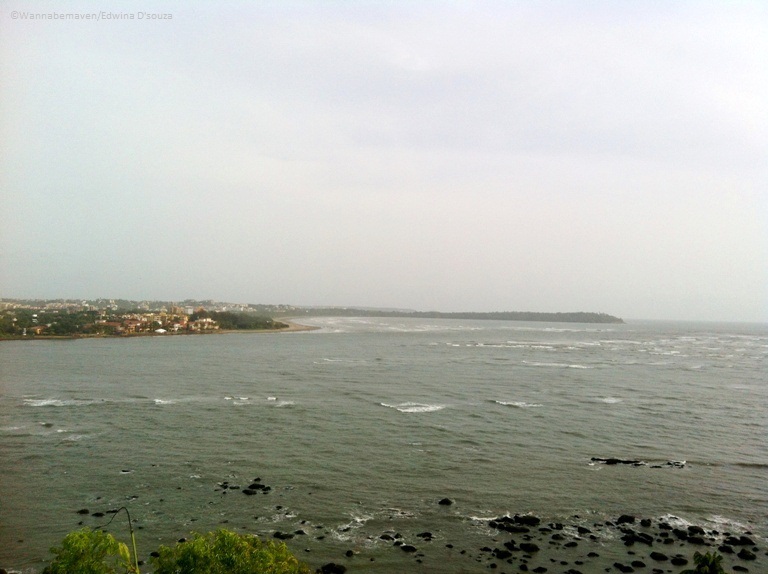 The fort comfortably sits on the banks of the Mandovi River in a tucked away village called Verem. 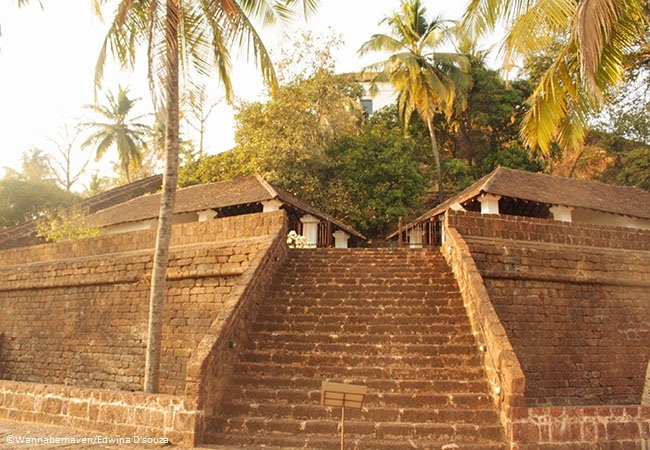 It is accompanied by the Reis Magos church – a mesmerizing white washed structure and the first church to be built in the province of Bardez in 1555. 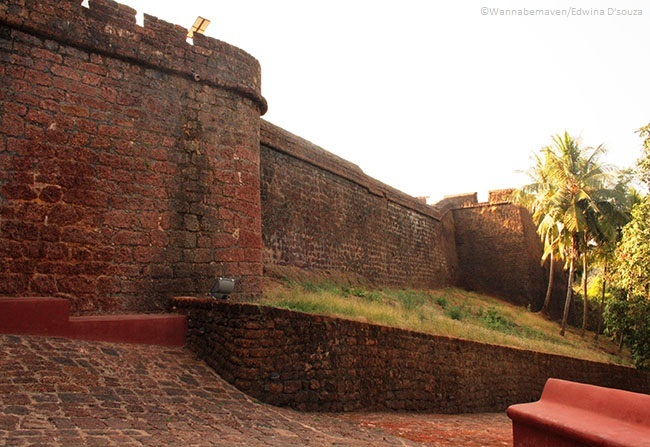 Together the fort and the church are beautifully apt examples of Portuguese architecture existing in Goa till date. 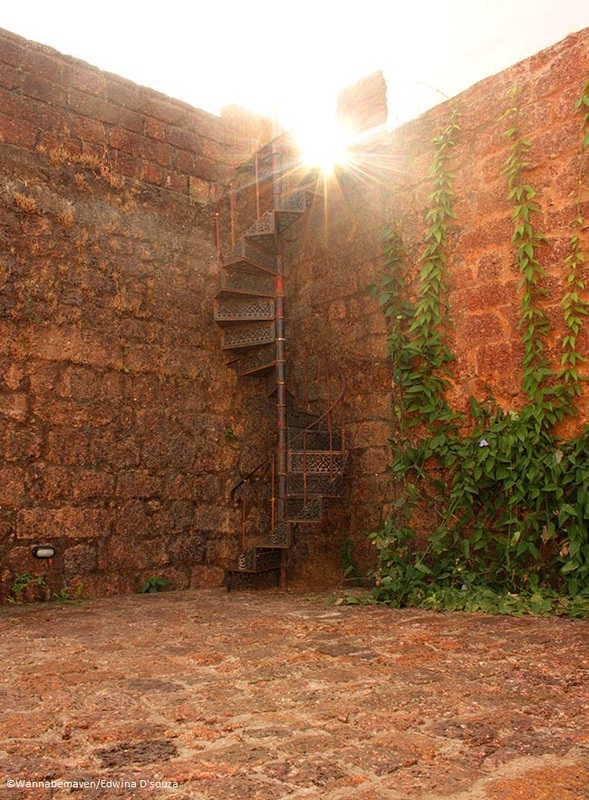 The restored fort of Reis Magos also pays tribute to the works of late cartoonist and Padma Vibhushan recipient – Mario Miranda. 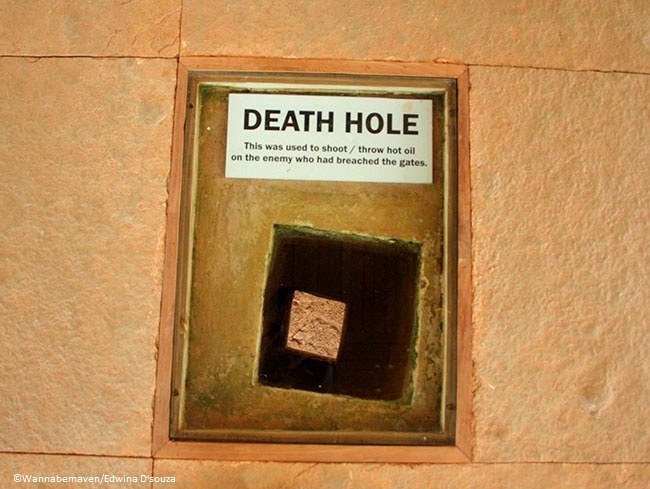 More than 3 chambers in the fort are dedicated to his cartoon sketches, books and art gallery including a souvenir shop and a video room that airs his interviews. 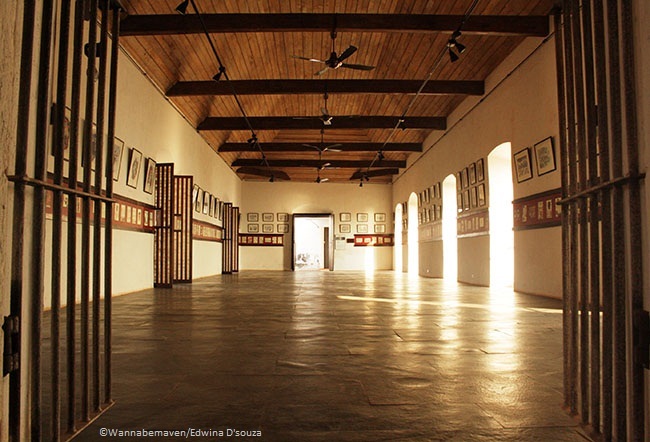 Other chambers are dedicated to pictorial representations of the development of the Goan state over the years. On display are also artilleries like Canons used during the historic period, solitary confinement cells used for prisoners and some secret chambers used to attack enemies. 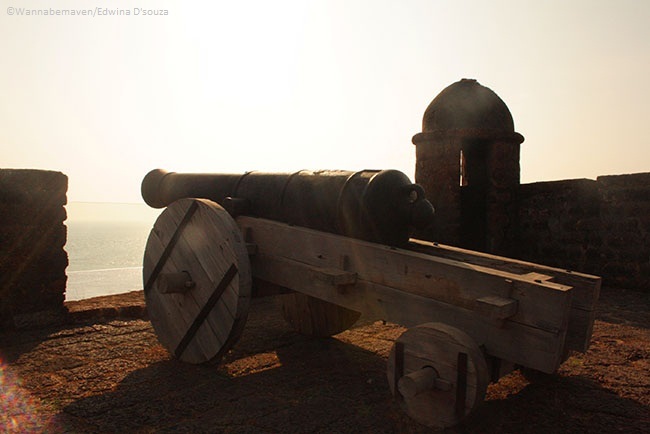 The fort is well maintained and the panoramic view atop the imposing structure covers the expanse of the Mandovi River, Panjim city and Cruise boats along with the Reis Magos church to its left. 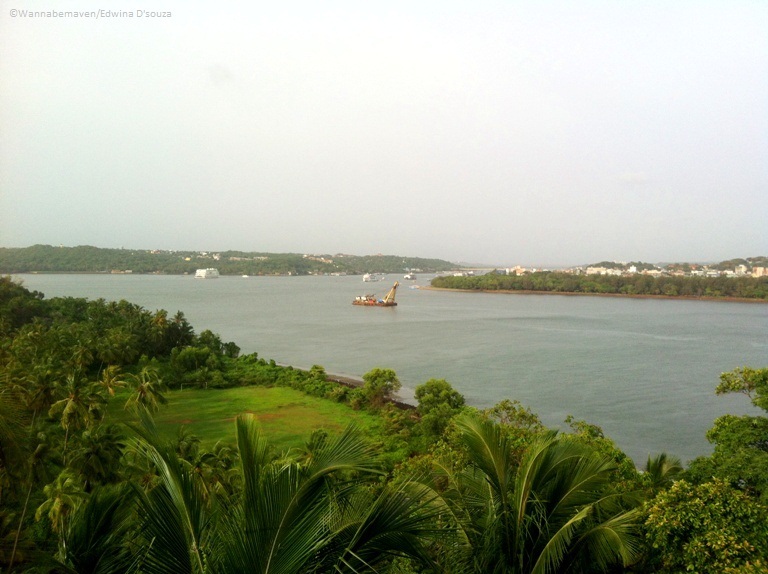 The scenic fort can also be viewed from the other side of the Mandovi River; most suitable spot is the Kala Academy in Panjim city. 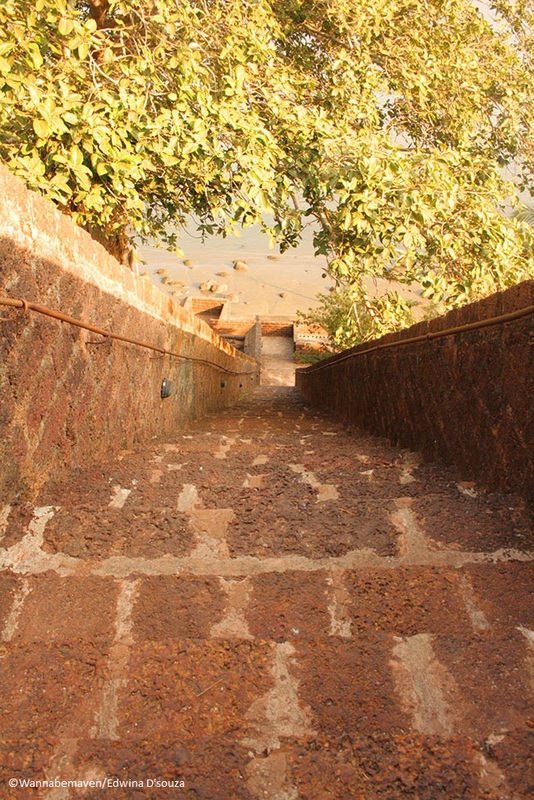 There is an entry ticket that needs to be purchased at the reception and it includes one way transport to the fort, to spare you the climbing. 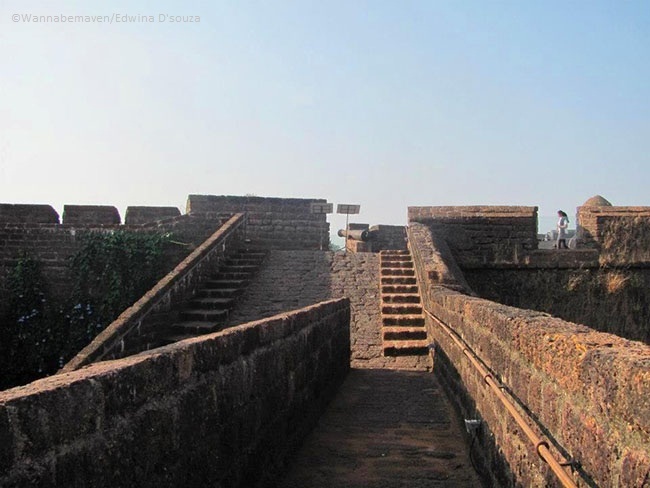 The Reis Magos fort has gathered a lot of tourists since its restoration and it is among one of the popular offbeat tourist attractions in Goa. Looks like the efforts of Late Mario Miranda, Government of Goa and the Helen Hamlyn trust is bearing its fruits. 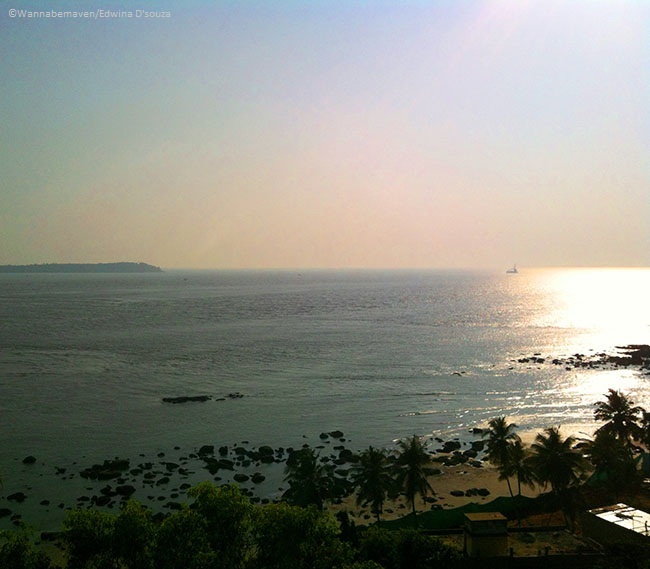 Don’t miss to see this one in your next Goa visit.